In 2012, LIUNA Local 79 made a commitment to raise $500,000 for St. Mary’s Hospital for Children in Queens, New York. LIUNA General President Terry O’Sullivan, LIUNA Vice President and Eastern Regional Manager Ray Pocino, Mason Tenders’ District Council Business Manager Bobby Bonanza, and LIUNA Local 79 Business Manager Mike Prohaska attended the dedication of the St. Mary’s Hospital Laborers Care Great Room on November 7. 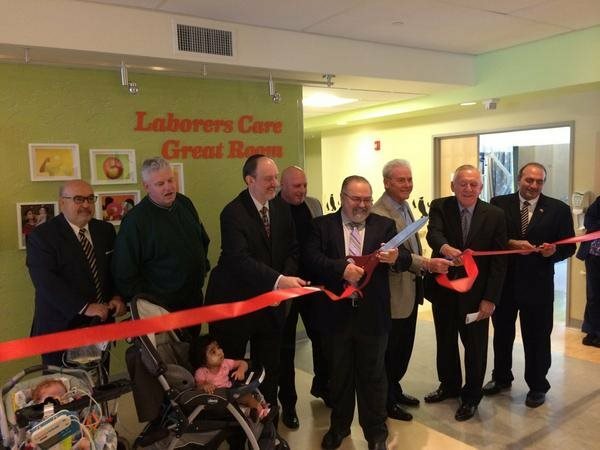 The Laborers Care Great Room is a home away from home for St. Mary’s Hospital patients. The room features a kitchen, books, video games, a television, and more to make children feel more comfortable while receiving treatment and care. 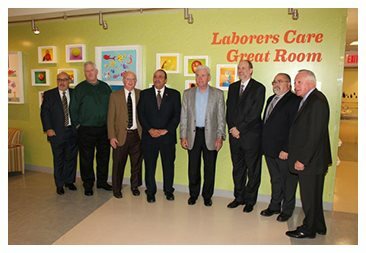 The Laborers Care Great Room represents a commitment by LIUNA Local 79 members and others which will live on for many years in the care given to the children of St. Mary’s Hospital. LIUNA Local 79 is proud to have played a part, alongside others, in helping to raise funds for this world-class institution.